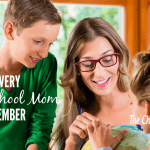 Do you have a homeschool mission statement? 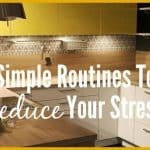 If not, I would encourage you to sit down and take time to think about and write down your purpose for homeschooling, as well as your priorities and goals. Having a mission statement helps when you get discouraged and struggle on those hard days. Many years ago, when our kids were much younger, we put on a homeschool program with four other families in the church. We had the kids sing, quote Scripture, put on a play, and a few other things. The purpose was two-fold. One, we wanted them to get experience performing in front of others. Second, we wanted others to know what our homeschools were all about, and what we did with our families. Besides performing at the program, each family put together a display. This included some of their kids’ best work, or special projects. Ours also included what we called our homeschool mission statement. 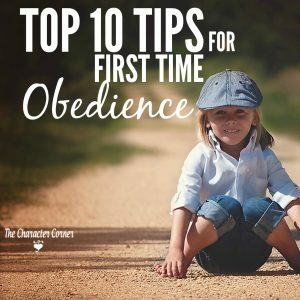 My husband and I found it was very helpful to sit down and decide what our homeschool really was about, and what our purpose and priorities were. 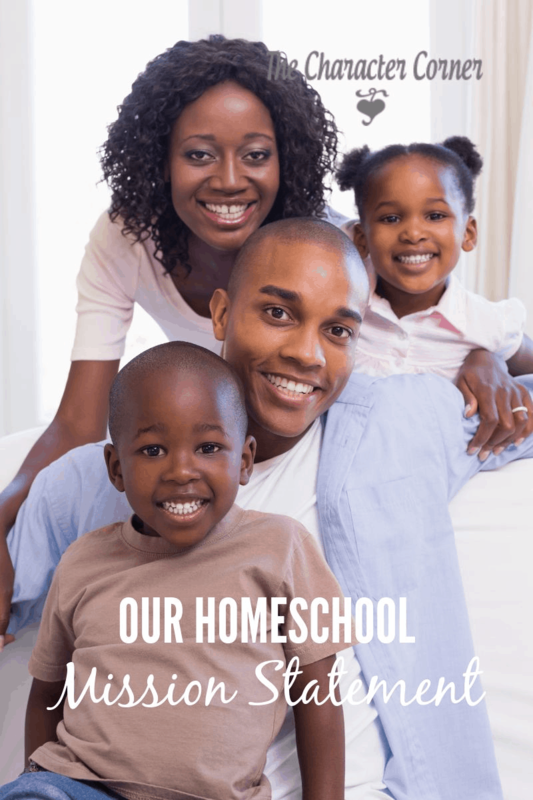 Home education is more than “book learning.” It is a discipling process, leading our children to Jesus, and then equipping them to serve Him, and lead a Godly life. The Bible is our most important textbook, and prayer, our most important activity. -Every morning, the girls get up at 8:00 a.m and read their Bible for 30-45 minutes. Their goal is to read all the way through the Bible before we finish school for the year. – Joy, Ruth, and Mike memorize Bible passages together with Mom. So far they have memorized 24 passages (about 300 verses). In order to retain these verses, we review two of these passages a day. When we finish the list, we start it over again. We have reviewed the whole list 13 times so far. 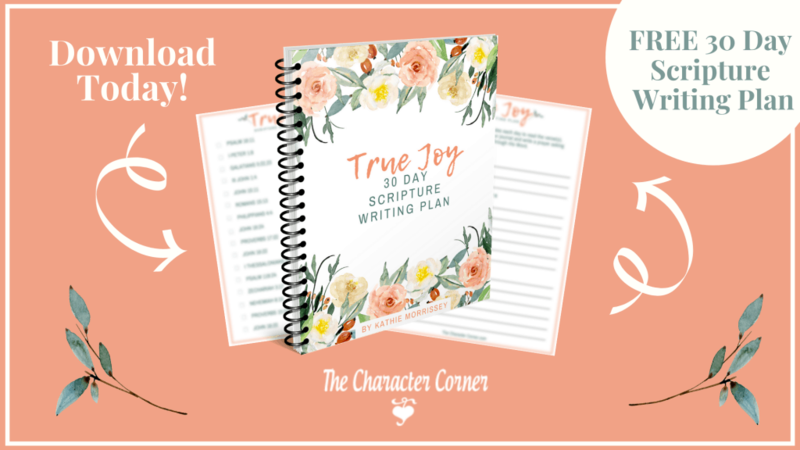 -We have a daily character lesson which includes learning what the character trait means, what the Bibles says about it, Bible examples, and how to apply it to our own lives daily. Mom and Dad watch for the kids to show good character, and use charts as a reminder to all that showing good character is important. -We have scheduled time daily to focus on the three R’s, while striving to develop a love of learning in our children, and teaching them how to learn. -All three kids participate in a weekly music class for homeschooled students. Joy and Ruth are also taking piano lessons. -Every month we go to a nursing home with another family. The children perform a play, recite Scripture, and sing for the residents. After the program, we visit with the people, and give them a Bible verse sheet the kids colored. 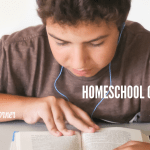 Do you have a homeschool mission statement? 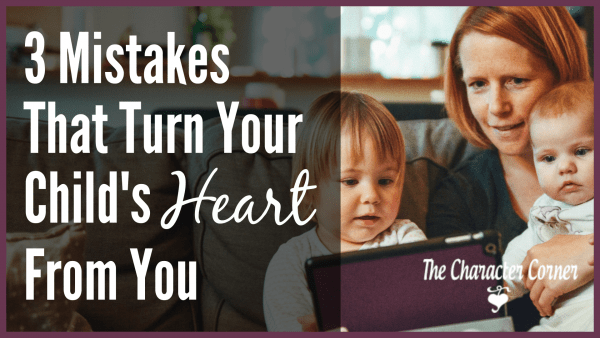 If not, I would encourage you to take the time to pray about what God wants for your homeschool, and make a list of the priorities and goals that He lays on your heart for your family. 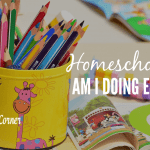 Homeschool – Am I Doing Enough?